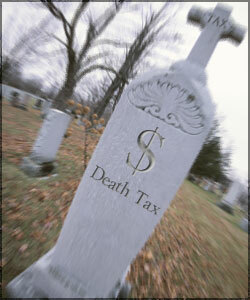 Death to the “Death” Tax? Thanks to a discussion on NPR yesterday, I became aware of a little provision in tax law that in the age of the wealthy consolidating greater wealth, is an abomination. Due to the Bush changes to the Estate Tax(or as the Repub propagandists call it, the “Death” Tax) and because The Senate has failed to act (The House has done their part), in 2010, the Estate Tax is fully repealed then comes back into existence in 2011. “Huh?”, you might respond in a far more eloquently way than that. At the time (just before the bill was passed in 2001), estates valued at $675,000 or higher were subject to the tax. And they were taxed at a rate of 55%. This year’s exemption threshold is $3.5 million, and the tax rate is 45%. The levy brought in an estimated $26.5 billion in gross collections in 2008, according to the IRS. The levy is set to disappear for 2010. Barring any agreement to extend or change the 2001 law, the tax is scheduled to resurface in 2011 at a rate of 55% on estates valued at $1 million or higher. There are conflicting accounts as to why this was structured the way it was. To force Congress to act on making the reduction to 45% permanent (looking far better than 0%)? To make the financial impact of the bill look different by backloading the biggest benefit which would instead allow the wealthy to manipulate the situation legally and escape taxes on a far more massive level than imagined? To get the public acclimated to the wealthy paying zero in estate tax? The arguments against the Estate tax were and are mostly all bogus. The big canard was how family farmers lost their farms and will lose their farms because of it. Unfortunately for those propagandists, that claim spurred people on to study this and discovered that no family farm has ever been lost due to Estate tax. Whoops! Back to the Lying Board! The concept of an Estate Tax used to be universally appreciated by Dems and Repubs, the idea seemed reasonable that those who benefited most from a society, at a time when they were no longer around to buy private jets or gold-plated toilets, would be required to give back substantially to the stability and growth of that society. It was only realatively recently, when the GOP and many Dems were literally bought and kept in their protective wrappers by the wealthy and their corporations, that the POV of that sociopathic person named “corporation” became enshrined. The thing is, by upping the income tax and the Estate tax on the wealthy, we could have a backdoor way of recouping a lot of taxpayer money that has been stolen and manipulated out of our pockets. Somewhere between 95% and 97% of this nation do not and will not have estates that are worth more than the previous threshold of $1.35 million going to a couple ($675k to an individual). And even if one did, the tax was only on the amount above that. Now, here’s the screwjob on how things will work in 2010 if there is no Estate tax. Capital gains taxes would apply. These are down to 15% (these should be raised hugely too!) and there is NO exemption. So, if you are a farmer who dies and leaves a family farm worth 200k, though that would’ve been exempt under Estate tax laws, in 2010 you would owe the government $30k. Even on an estate worth $1,000, you’d have to pay the government $150. However, if you’re wealthy, instead of paying $45 million on $100 million inheritance, you only have to pay $15 million, a $30 million tax cut for you! There are those in the Senate who say that they will pass a bill in 2010 that is retroactive and continues The Estate tax in that year. We’ll see. However, I strongly doubt that they will raise it back up to 55% and will instead allow the Bush giveaway to the wealthy of that 10% to stay…awaiting the day when a Repub Congress and Pres can knock it down another 10% and another 10% until it is negligible. The bottom line on this is USAToday simple: The less the wealthy pay, the more the non-wealthy will pay. Or our infrastructure will go unfinanced and will crumble. Or the U.S. will be forced into a death spiral of deficit spending. It comes down to the wealthy forking over their fair share or further oppression of taxpayers and the decimation of our society and economic strength as a nation. And in light of what they did to our economy, this lobbying of theirs underway to block paying ANY Estate taxes in 2010 is their way of saying, “Let them eat cake…and send them the bill for ours!”. This is a completely unfair tax! Just think how many family farms and wealth has been destroyed. How much more wealth could be distributed down to the masses by the wealthy. Just think how much MORE wealthy and powerful this country would be without this tax Since 1916! AdLib, great post. We are having a similar debate here in CT in order to close the budget gap. Our beloved Governor has vetoed several bills that include raising the estate tax in CT, fearing that jobs and small businesses will be greatly impacted…lock step with the Republican notion of hurting the “Family Farm”. But yet, she is all for cutting services and laying off 100’s of government workers. Been thinking about this a lot lately, worked hard all your life, payed taxes, hubby dies, next day they come knocking on your door to steal or freeze your bank account. Hey my man worked his arse off for this, where is my share? If the teabagging rabble are still confused about whether their darling conservative reps give a shite about them, they ought to have a look at those numbers. Bush wriggled into office with the intent of making the super-rich even richer. Every policy he had, including the invasion of Iraq, led to increased wealth for him and his cronies. Grrr. KQuark, AdLib and all, when you throw in the money that is stashed offshore by wealthy individuals and corporations, the picture gets even more aggravating. And, as Barbara Ehrenreich notes in “Nickel and Dimed,” the working poor pay a very large hidden tax in that they work for sub-standard wages year in and year out. They may get an Earned Income Credit check for a couple thousand every February, but they’re taxed much more in the form of virtually uncompensated labor the rest of the year. The rich guys who burn me up are the ones like the guy in our city who is the CEO of a chain of 300 nursing homes. His income ranges from $12-28 million PER YEAR. You know all too well whose money THAT is. These homes get the vast majority of their income from Medicare and Medicaid. I firmly believe there should be a cap on CEO income of any company that gets more than a certain percentage of its income from government programs. (Blackwater/Xe sound familiar as well?) They can have their free market and their CEOs can make as much as they want as long as none of what flows into their coffers is taxpayer money. As an aside: am I reading this law incorrectly or is there a very strong incentive for Biff and Miffy Gotrocks to make sure that Grandpa makes his “exit” in 2010--not before or after?? (And the Repubs say there are “kill Granny” panels in health care reform?) Certainly reads that way to me--if there are no changes implemented in the near future anyway. Great article, Adlib! Thanks for your explanation. 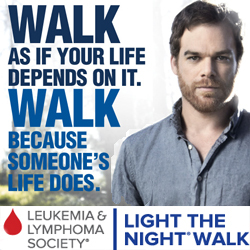 This is not a subject that many of us know much about. It just occurs to me that the game is rigged. We the People don’t stand a chance unless we educate ourselves about these bills and continue to let our representatives know how we feel. Your article goes a long way in helping us to understand the issue! Meanwhile, the rich get richer…and the rest of us are sucking wind! Excellent points. The biggest intended consequence (greed is good Reaganism) of relatively low taxes on the rich is the redistribution of wealth from the middle class to the rich. With income taxes relatively low on the rich there is just not much incentive to reinvest money into the economy and when it is reinvested they even pay lower taxes). Basically it creates a hording system. The other taxes you did not mention is the payroll tax which is the most regressive of all. With an income ceiling of about $115K/year a upper middle income family pays around a 15% payroll tax rate while a $10MM CEO, hedge fund manager, athlete or entertainer pays a little over 1%. Part of the healthcare bill raises the payroll taxes on people making over $250K/year a couple percent. But drop the ceiling all together and entitlements like Social Security and Medicare are paid for about 50+ years. This is another reason why it’s garbage when Republicans say rich people pay too much in income taxes while they lie and say the working class pay almost no taxes when the working class pays the highest payroll tax rate by far. It’s the same bullshite when Republicans talk about nominal corporate tax rates which appear high but over half of corporations pay no tax and the tax burden for corporate taxes are again low when compared to the rest of the world. The bottom line is tax burden and the US pays one of the lowest tax burdens in the world and frankly we get what we pay for in the end.